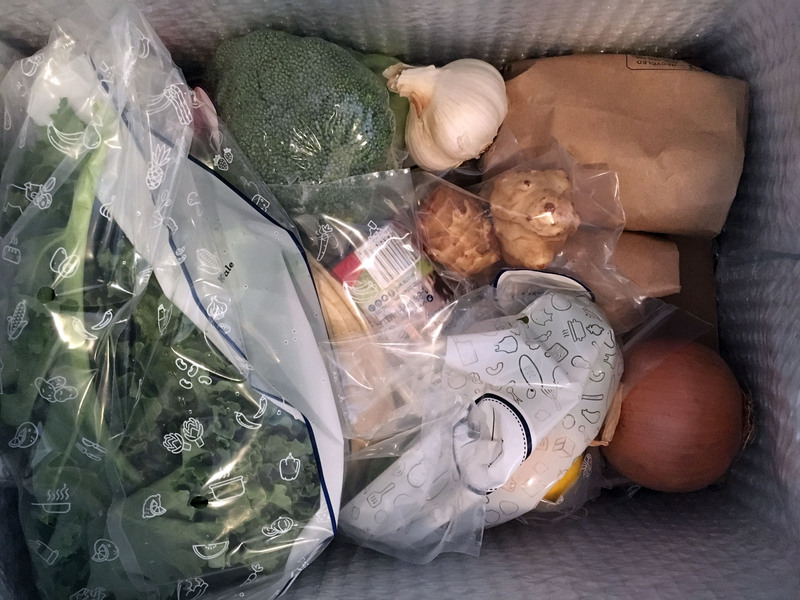 Ok, soooo I decided to try out some meal delivery things since I sorta like to cook, but I really hate grocery shopping. Not to mention, I’m an “Instacart” whore and I often find myself spending an hour or so finding a recipe and then matching up my list with those necessary items. Now it’s time to see if I can graduate to a meal delivery plan to see if this might save a bit of precious time. Somehow, I managed to get a few promotional offers from various meal delivery plans so enticing me with some free stuff is usually a good way to convince me to try your brand. 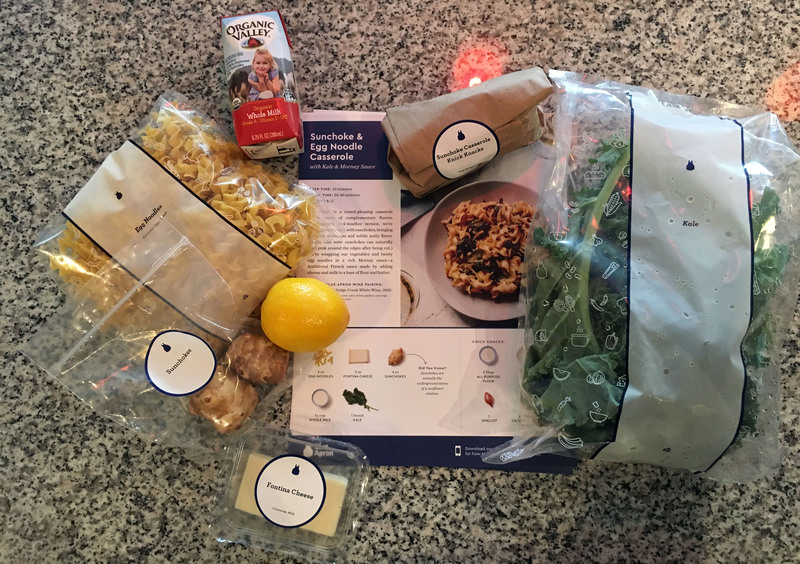 For my first experience, I chose Blue Apron. I’ll spare you the boring details on how to get started, but let’s just say it’s easy to set up. It asks the regular questions such as dietary restrictions and all that fun stuff. *I had a $30 promo offer so I only paid $29.94. Hells yeah. That’s $4.99 per person for 3 meals! My girlfriend and I can easily spend $59.94 on a meal with alcohol so this is a great savings for us and even without the promotional offer, you’re still only paying $10 bucks. I placed the order on: Janury 28 and 8 days later, I received my food on February 5. I thought maybe I would have to be home to receive the food, but they delivered it to the Luxor system which handles the apartment’s incoming packages – which is awesome because the delivery date was a Sunday and I hate seeing strangers on a Sunday which is a big reason why I don’t attend church. About 1:50pm -ish, I get the text notifying me that I have received a Luxor package. I brush my teeth (you just never know especially when there are famous people living in your building) and head on down to pick up my box. I carry the heavy thing back to my apartment, because I am super athletic. 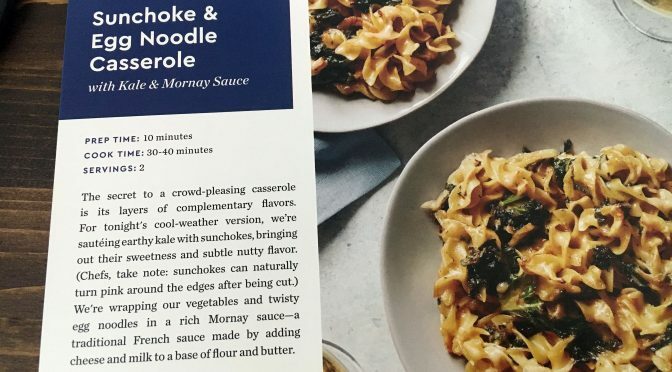 My first thought was…what the hell is a sunchoke? 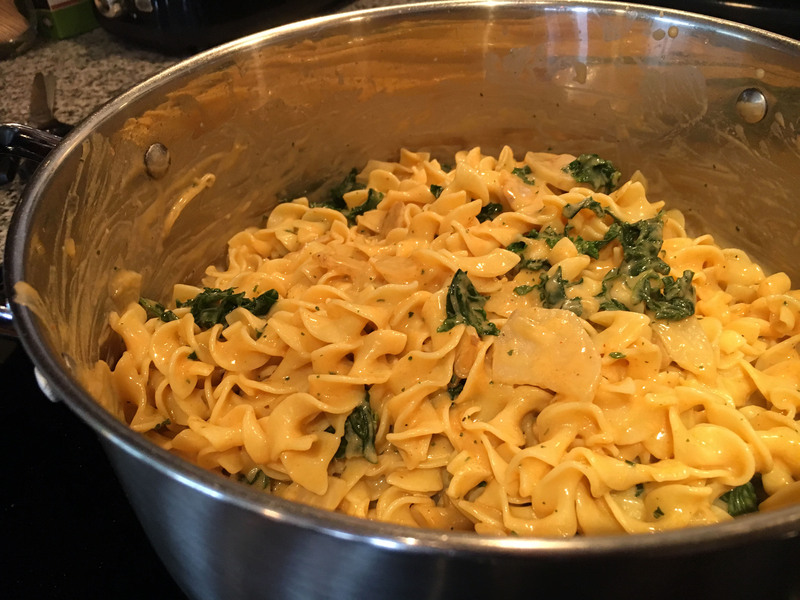 I anxiously needed to know so I decided that this would be the first recipe I try. 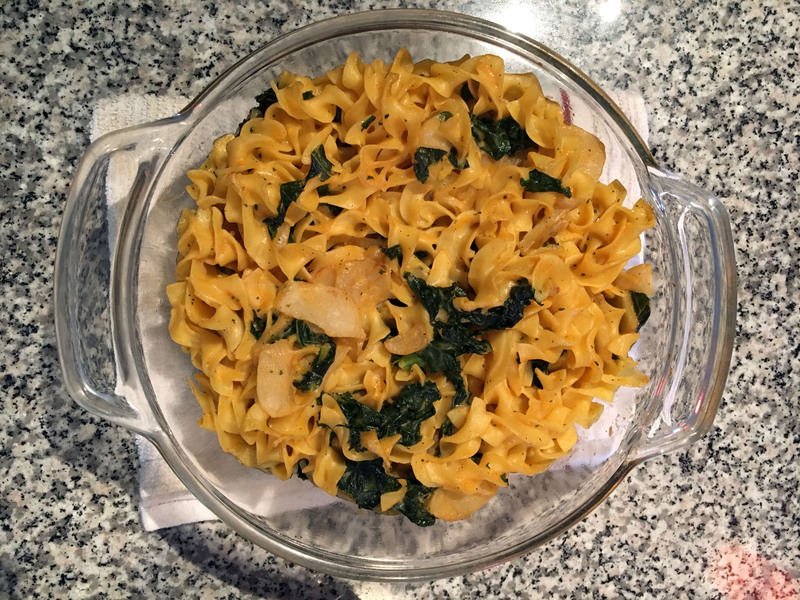 After putting the other food away, I kept out the ingredients for the Sunchoke & Egg Noodle Casserole. Here they are, minus the lemon – because I didn’t pay attention. 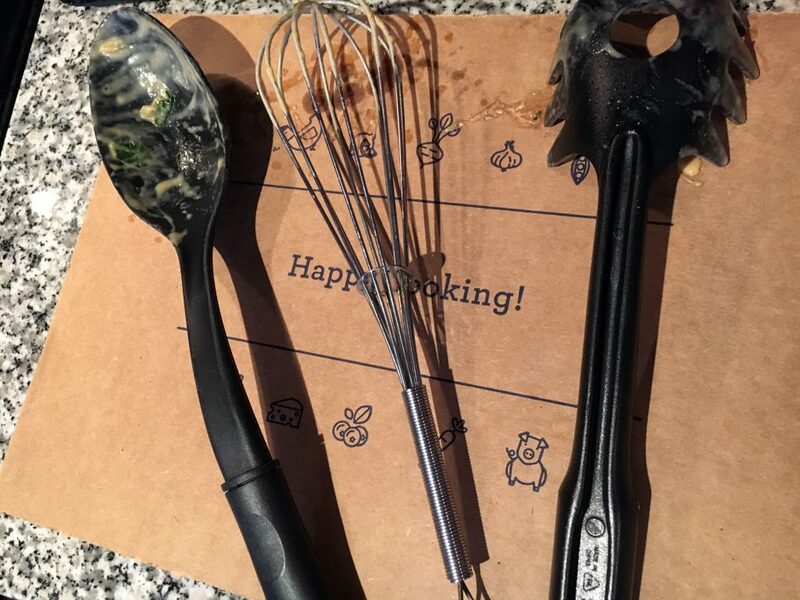 Everything has a label and the recipe card shows you exactly what you need so you really can’t mess this up. 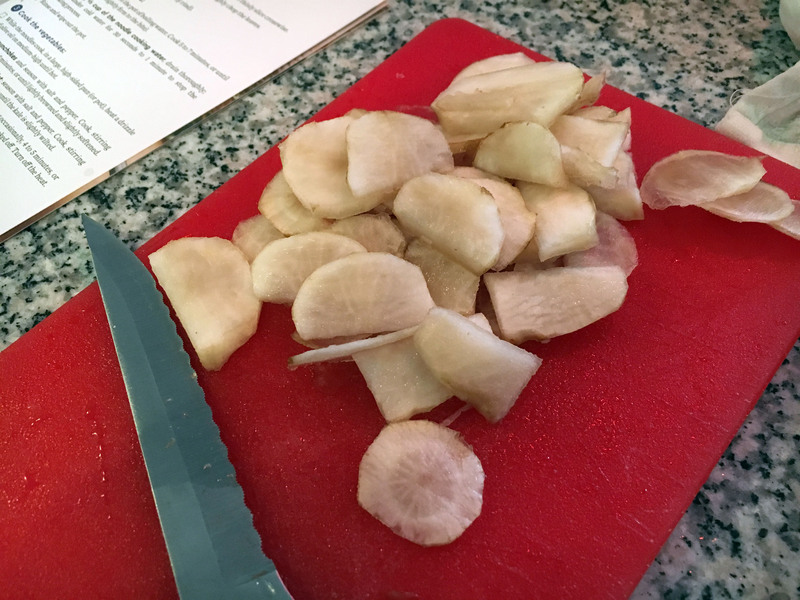 The first portion of the recipe tells you to prep all the ingredients, preheat your oven and to “peel your sunchokes; quarter lengthwise, then thinly slice crosswise” which this means absolutely nothing to me. But at least I finally get to touch the sunchoke which looks like a oddly shaped piece of ginger. 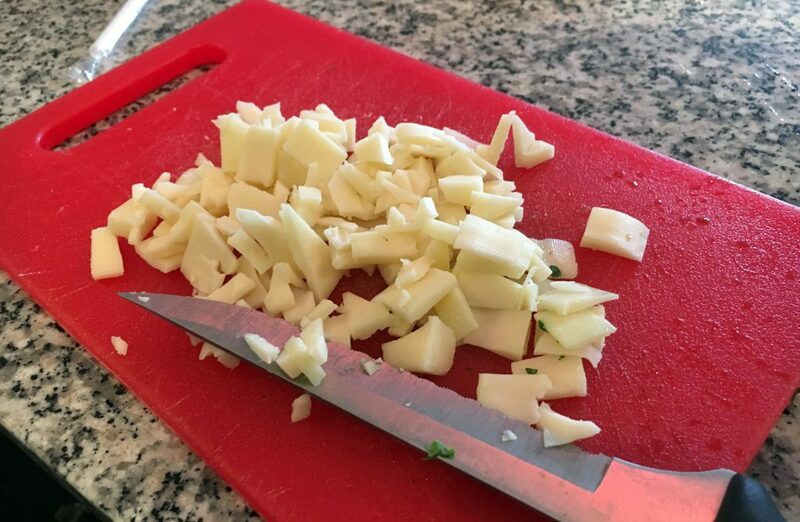 Then I “thinly” sliced them. I resisted the urge to taste one because I wasn’t sure what would happen. 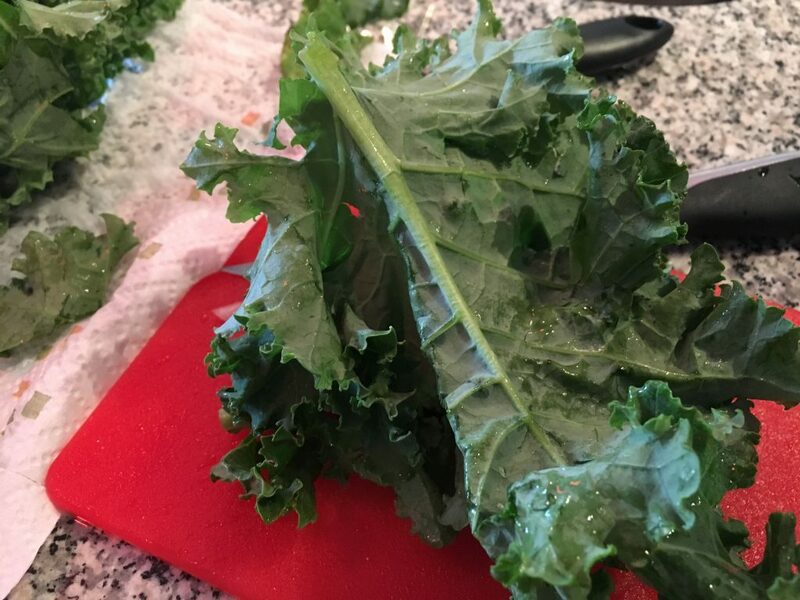 Suddenly, I was distracted by the next set of instructions which said to remove the kale stems which I really wasn’t sure what part of the kale was a stem. No – seriously. I remember decorating the salad bar at Golden Corral with this stuff and now suddenly you can eat it? 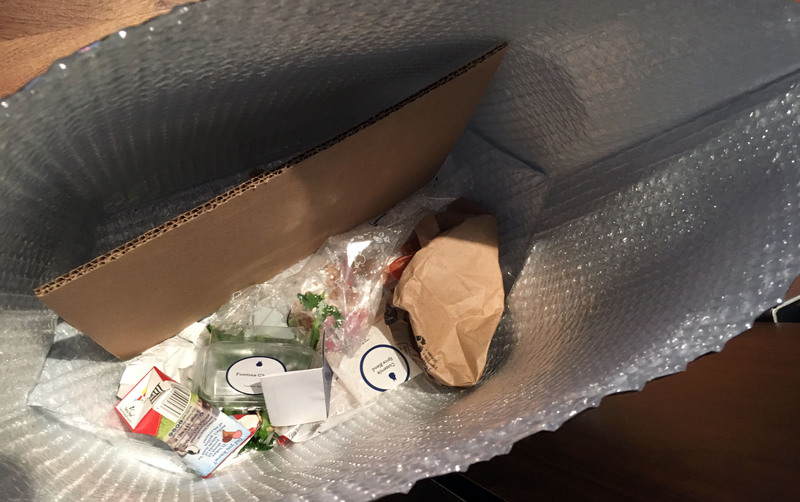 I also I didn’t know that Blue Apron has some videos to help you with your recipes. 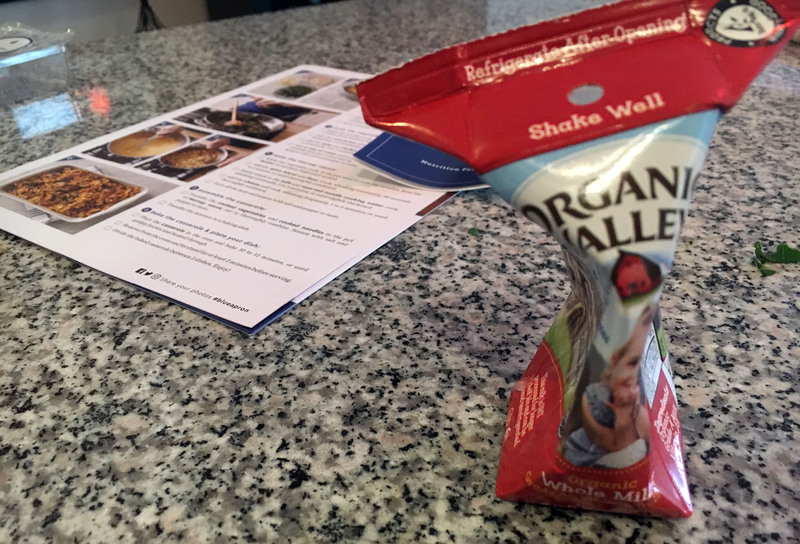 I discovered these after the fact and I also saw the information about the “Featured Ingredient” which are…..SUNCHOKES! They are a member of the daisy family (I am not a member of the daisy family). 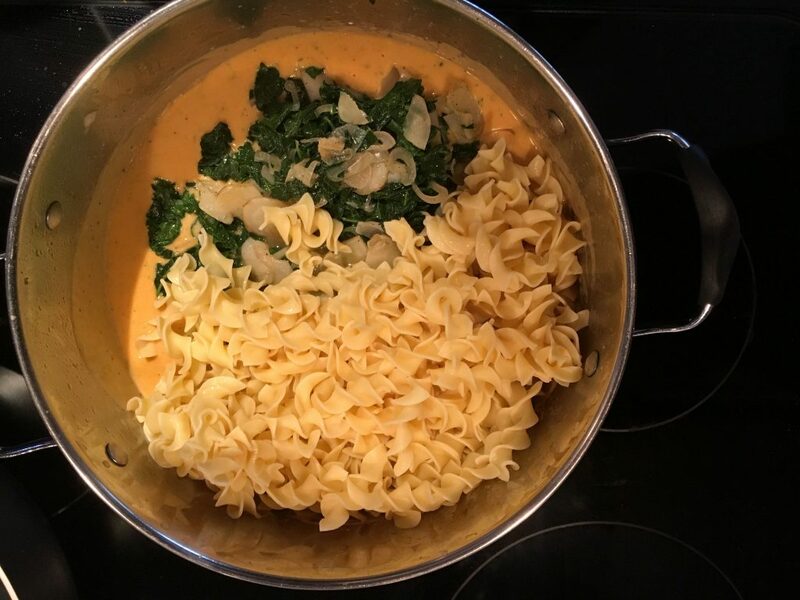 I did my best when it came to remove the stems from the kale. I guess it’s the WHOLE stem you remove? 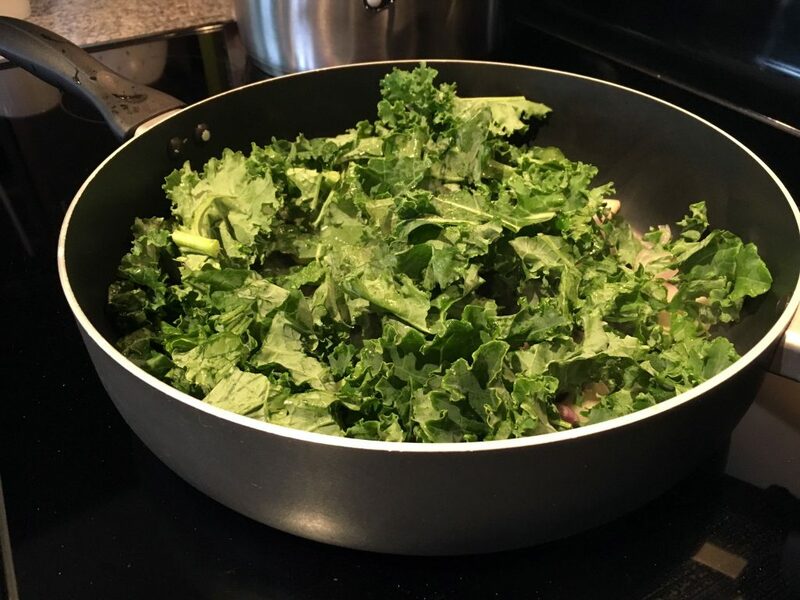 Then I “roughly” chopped the kale – which means I tore it up with my hands and used the knife a couple of times which I have thought about doing this to a person once or twice, but never did. 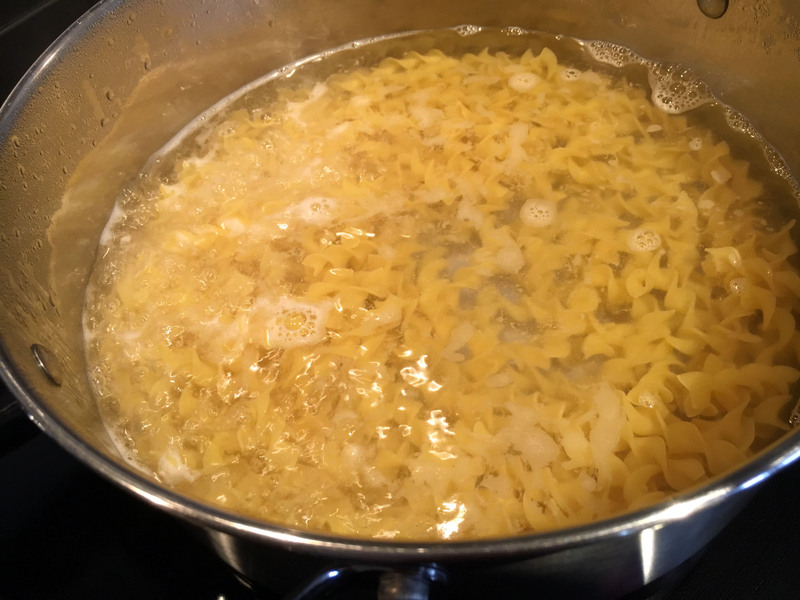 By now, my salted water was boiling so I added the egg noodles. So far, so good. Then I went back to doing some other stuff that I don’t remember. 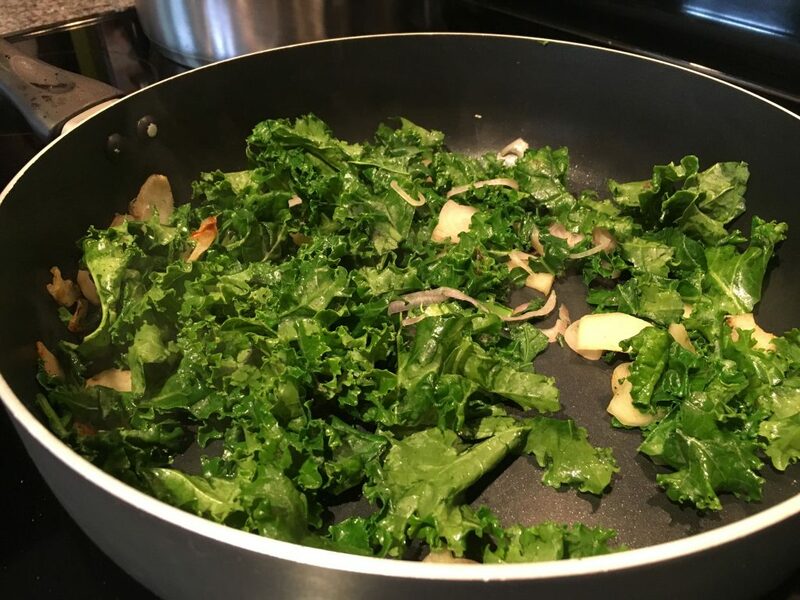 I am on “step 3” of my recipe which says to cook the kale, shallots and SUNCHOKES! 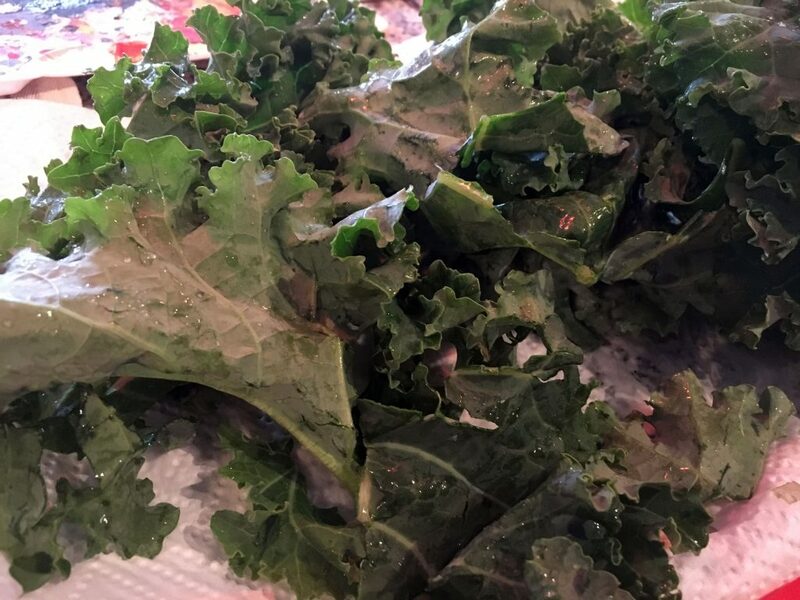 I cooked the kale until it was “slightly wilted” and I think I did okay. Now, onto making the Mornay sauce. 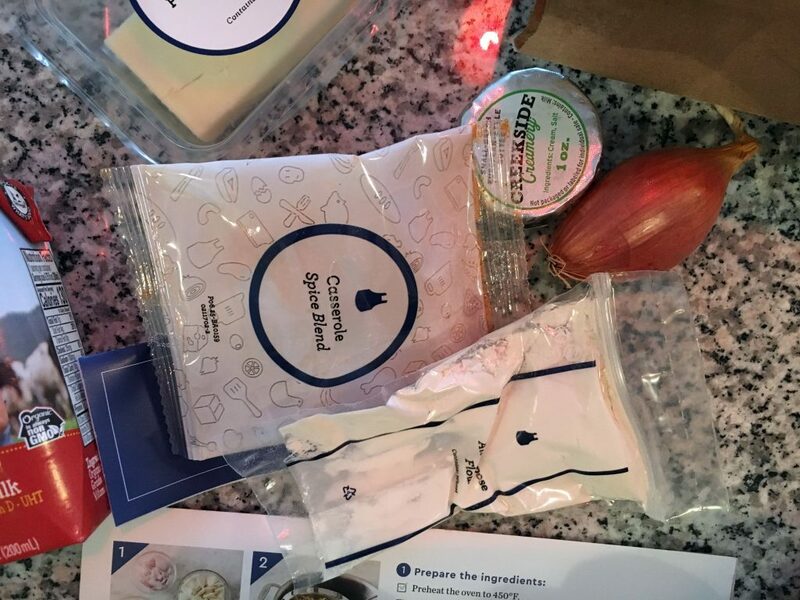 Here are the Blue Apron knick knacks – minus the shallots because those are already cut and wilting with the kale. I whisked up the spices and flour and slowly added the milk. Almost all of it. I decided to keep some of it and drink it, but only after I crushed the carton with my bare hands. I am so strong, I crushed the milk carton. I didn’t have a cheese grater, so I improvised. My version of grated cheese. I added ALL of the knick knack stuff, but maybe I was supposed to measure it? 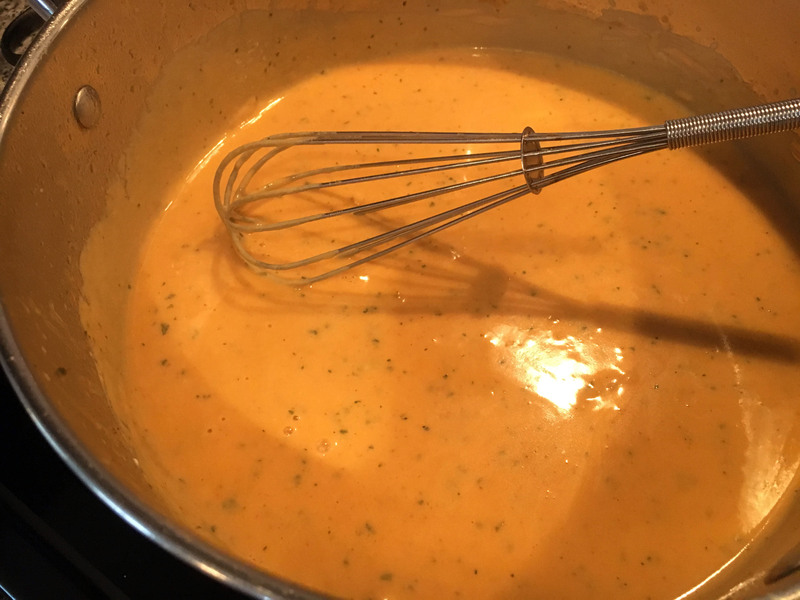 I probably should have read the entire recipe in advance, but my Mornay sauce looked pretty close to the picture on the recipe card. Score! I wanted to taste it at this point, but I didn’t. Next step was to assemble it all. And of course, mix it. 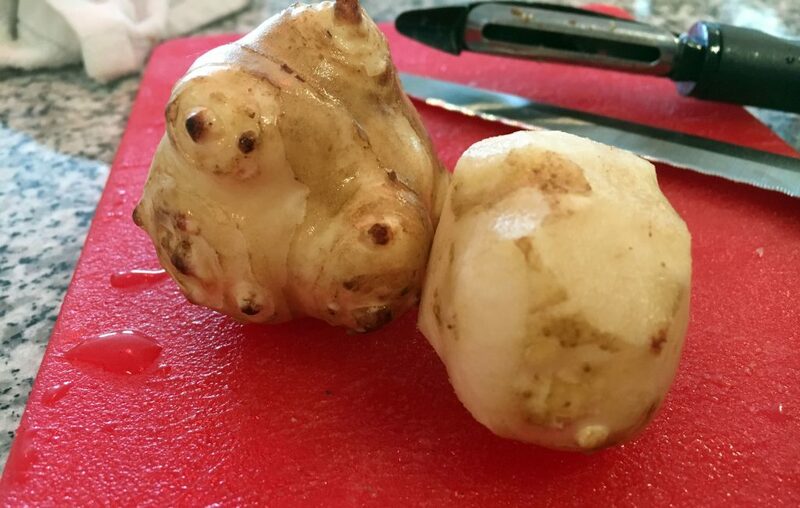 By now, I am hungry and I really want to know what sunchokes taste like. And then I bake it just like the recipe told me. 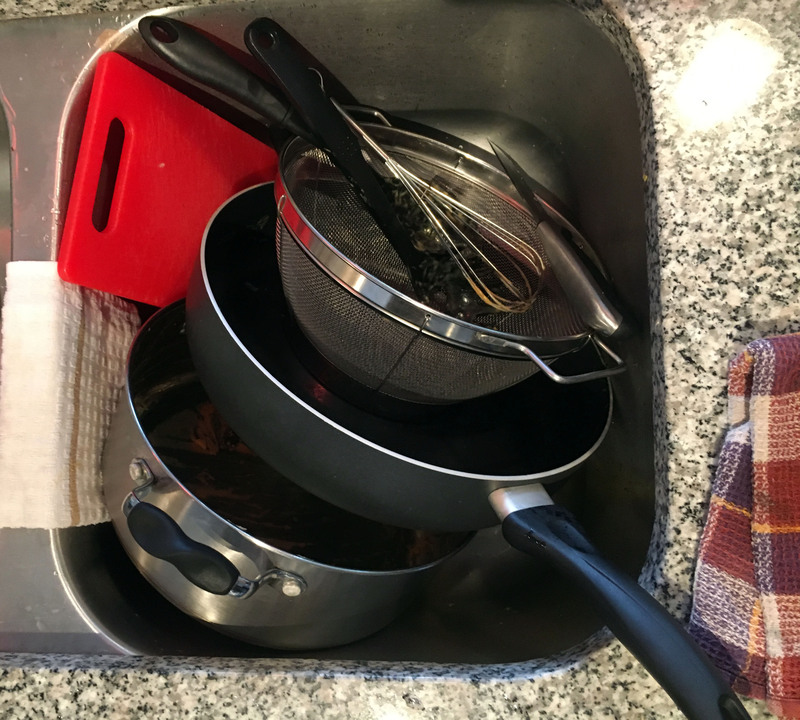 While it’s baking, I take note of the clean-up I have to do, which isn’t too bad. Okay – time is UP and now here is the finished product! It didn’t really have a lot of flavor so what I may do is perhaps add garlic, a protein such as tuna fish or chicken and maybe lemon – but not the one in the picture above. A different one. Was it easy to cook and prepare? Yes, although read all instructions first. I messed a few things that I don’t want to admit. I started the cooking at about 2:00pm and finished about 2:50pm which is close to the prep and cook times on the recipe card. Overall, I enjoyed cooking this Blue Apron recipe and even after we each had a serving, there is still plenty left-over for lunch. After some more salt, I did like it more, but I like everything better with salt. I’ll let you know how the other recipes turn out! “Day After” Rating – This tastes much better the next day.